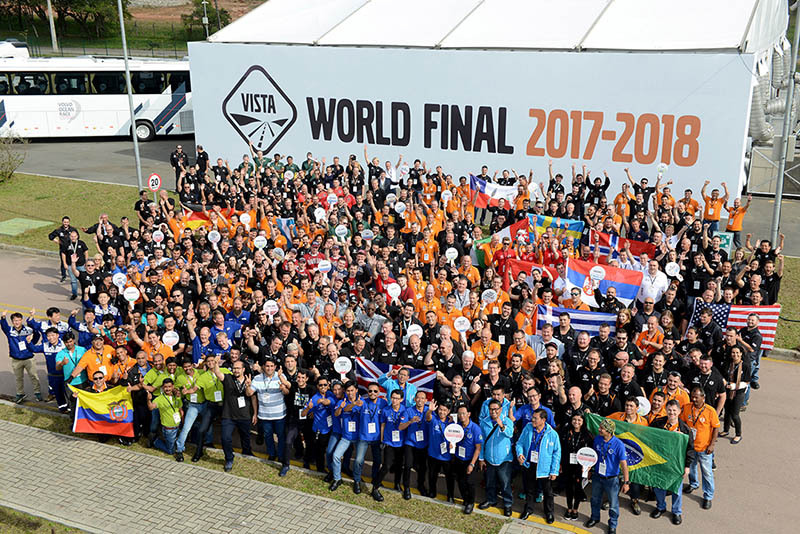 This week saw the final of one of the world’s biggest skills competition for automotive technicians – the Volvo International Service Training Awards (VISTA) – which was held in Curitiba, Brazil. This year’s competition has involved 19,700 participants in teams of four from Volvo Trucks’ and Volvo Buses’ global service networks, but in the end it came down to the 40 best teams from around the world going head to head. After an exciting final round VIIES RATAS (meaning ‘fifth wheel’) from Estonia clinched the victory, just pipping Derma X from Belgium, with a Finnish team, Harju, taking third place overall. “I am very happy to see team VIIES RATAS from Estonia achieve this title and to inspire all of our employees around the world as qualified and motivated service technicians are among the most important success factors for our workshops and customers and the reason why we invest so heavily in continuous training and competence development,” says Claes Nilsson, President Volvo Trucks. He adds, “VISTA is the tip of the iceberg where all our service technicians every second year have the opportunity to test and prove their knowledge against their colleagues from around the world. The competition puts the spotlight on day-to-day work-related skills and crucial technical spearhead competence, it promotes co-operation and builds pride. The UK & Ireland were represented by ‘MC Hammers’ from MC Truck and Bus at Thurrock, Essex after battling through the UK semi-final in April. Despite being in their second final, Ryan Garrett and his team were outside the top three as the standard was so high and the 10 final tasks were so challenging, but were extremely happy to be in the top 1% of Volvo technicians across the globe. The very first VISTA competition was held back in 1957. 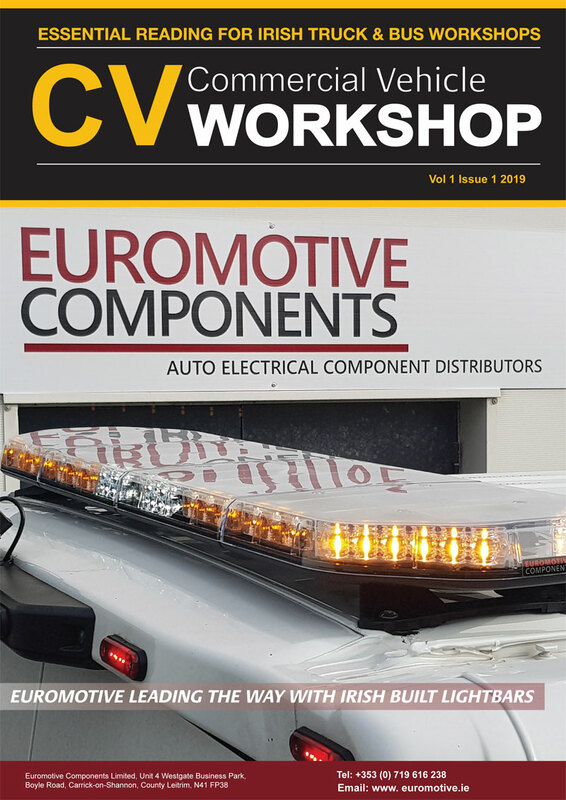 Since then the truck mechanic profession has turned into an automotive technician, the computer has become an essential tool in the workshop and the profession has undergone a fundamental change from the ground up. Modern trucks are technically highly advanced machines that require a more comprehensive and wider type of expertise than before. Today’s technicians must be able to handle both mechanical and computer-related work, whilst at the same time, razor-sharp competition in the transport industry has meant continuously growing customer demands for constant vehicle uptime. “In principle, a truck always has to be ready to roll, which in practice means that the technicians have to carry out highly advanced and well-planned maintenance, they have to trouble-shoot, identify, analyse and rectify problems in the shortest possible time. Today there is no acceptance of long waiting times for service and repairs, there’s no tolerance for correct parts not being available or for a job not being done right the very first time the vehicle enters the workshop,” explains Martin Merrick, Senior Vice President, Retail Development at Volvo Trucks. The theme for this year’s VISTA – ‘Performance is Everything’ – is a perfect description of what it’s all about: in order for customers to be able to perform at their peak, our technicians must do so too. “That’s exactly how it is – our goal is to have the world’s best service technicians servicing our customers’ vehicles. Through VISTA draw attention to and reward the vital work that our dealers and workshops do every single day, and at the same time attract new talent to an interesting and varied profession that has a great future,” explains Anna Rogbrant, VISTA Project Manager.